My body look awkward in here, I don't know how to pose above a chairs. The weather was not good for take a photos outdoor. so, my bestfriend Julia take a photos in front of her garage. We need one hours to got good photos, but it so much fun. We miss have fun like this since graduated for university. Btw, I'm wearing faux leather cropped top from yesimfrench and mix it with wide pants. I like to combination some tight-cropped with loose-long. I love experiment with my outfits, because I don't know it will look good or no if I never try to wear them. 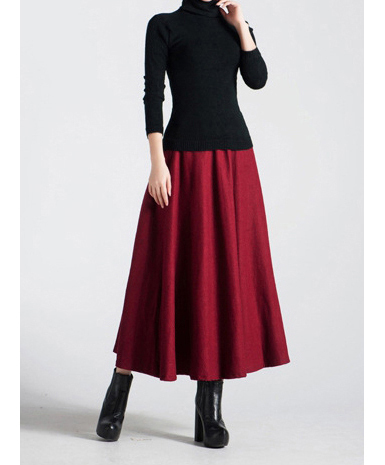 Maybe, I will try to match cropped top with skinny jeans on next outfits, I hope they will great on me ;p.
yesimfrench is south korea label by french designer. This top is very spesial because the designer Sandra made it custom for me, Thank you so much Sandra!. This my first custom top and I love it, it's very fit on my body and very comfy. I will post about the making of this top on next post, I'm so excited!. Photos/ Julia, place in front of her home.